A new Community Wealth Fund could support the communities who need it the most. The alliance says that a Community Wealth Fund would meet key ambitions set out in the government’s recent Civil Society Strategy  and provide the long-term strategic investment needed to promote strong relationships and social action across England, supporting a richer and more resilient civil society in areas which have struggled in the face of economic and social challenges. 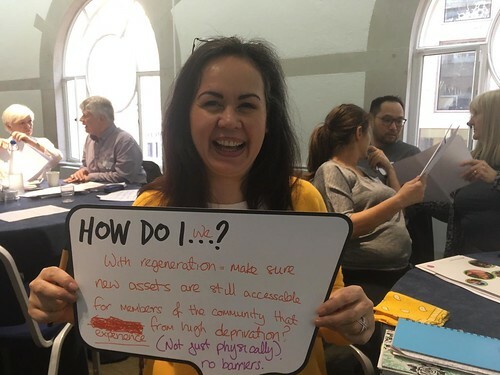 Strong resourceful communities: The case for a Community Wealth Fund asks the government to go further than the £35m identified in the Strategy  by committing the next wave of unclaimed financial assets to a new £1-2b endowment to support ‘left behind’ communities. The Community Wealth Fund identifies unclaimed assets from bonds, shares, insurance policies and pension funds, supplemented by other dormant assets including those trapped in charitable trusts whose purposes are no longer feasible. An endowment of this kind, which the Alliance believes could also attract corporate support, might over time value in the region of £5b. A consensus is already emerging around how these dormant or ‘trapped’ funds could be used most effectively for the benefit of society. The Proposal for a Community Wealth Fund has been supported by the Church Urban Fund, Barrow Cadbury Trust, Paul Hamlyn Foundation, Lloyds Bank Foundation for England and Wales, The City of London Corporation’s charitable funder, City Bridge Trust, Local Trust and NCVO. It is based on consultation with Locality, UK Community Foundations, Social Enterprise UK, Co-operatives UK, Charity Finance Group, Access – The Foundation for Social Investment, London Funders Group and the London Communities Commission, Small Charities Coalition, Voice4Change, the Calouste Gulbenkian Foundation and The Panel for the Civil Society Futures Inquiry. Source: Civil Society Strategy, page 51, ‘Chapter 2 PLACES: empowerment and investment for local communities’. Source: Civil Society Strategy, page 59, ‘New models of finance’.